The best place to shop for lawn mower parts online is right here at RCPW, the Replacement Commercial Parts Warehouse. With more than 1.2 million different parts available across all product categories, you'll always find what you need. RCPW carries both OEM and aftermarket lawn mower replacement parts. So whatever you're looking for, you're sure to find a match. We also work with all of the top brands and manufacturers. From Ariens to Honda, Toro to Snapper, Scag to Kohler, and dozens of others, you'll find replacement parts for your specific brand, make and model here. If you have a part number, you can simply enter that to begin your search. Otherwise, use our part lookup to begin searching by brand and model, or get started by looking for the type of part you need. 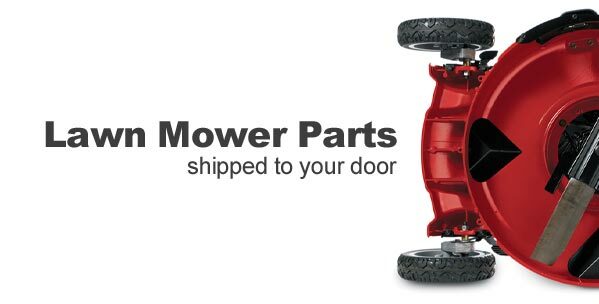 We carry all types of lawn mower parts, and you will not find a larger selection anywhere l else. Our better than retail prices ensure you always get a great deal when you shop from RCPW.com. Place your order today, or give us a call at 800.937.7279 if you have any questions. Have your lawn mower part number ready? Search for it above to find the replacement lawn mower part you need!